This article first appeared in Janice Kinne’s Journal del Pacifico. The cardón cactus, endemic to Baja California, is one of the most massive and ubiquitous cacti on the planet. Huge groves of multi-limbed old timers that witnessed the arrival of the first Europeans over five centuries ago can still be seen the length of the peninsula, and single young upstarts that haven’t even sent up their first arm yet crowd the desert landscape. What accounts for such rampant success? In a word, bats. Now of course there are many factors that help the cardón survive – isolation, summer rains, water retaining skeletons – but none of this would matter if it wasn’t for the bat, because the cardón is a cactus that deigns to open its flowers for pollination only as the sun is setting, a time when the kings of the PM pollination scene are emerging from their caves ravenous for their first meal of the night. That’s right, bats. Lesser long-nosed bat. Photo by Rick Jackson. long tongue to extract nectar, transferring pollen from one flower to the next in the process.” Clean, precise, targeted. Evolution at its most elegant. “So I was really surprised to see this other desert bat, the pallid bat (Antrozous pallidus), regularly visiting cardón flowers. The pallid bat has a short face, long ears and loves to eat scorpions off the ground. At first I thought maybe it was visiting the bat-adapted flowers of the cardon to opportunistically glean insects attracted to the flowers. 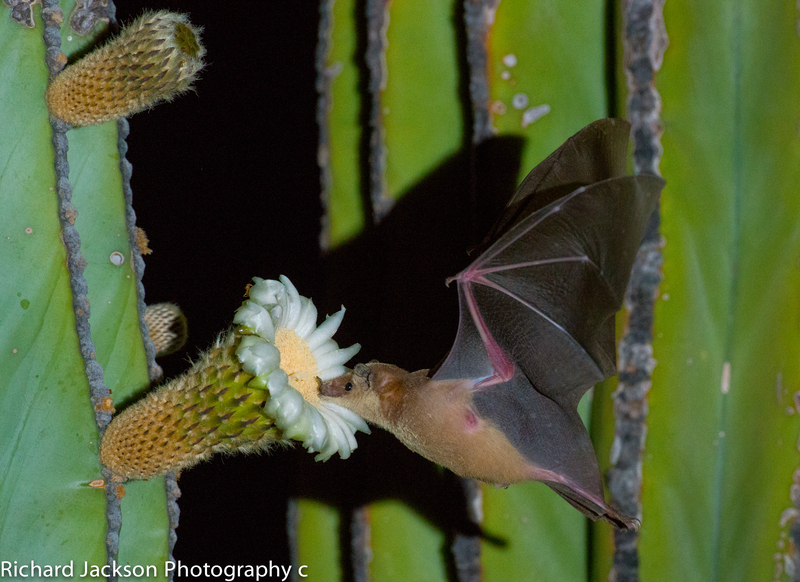 But as we observed it over 2005-2007, we realized that the pallid bat was actually indulging in cardón flower nectar. Apparently it likes a little something sweet to wash down savory scorpion meals. However, unlike the lesser long-nosed bat, the pallid bat doesn’t hover but dives onto the whole flower, caking its whole body in pollen.” A cardón pollinator usurper? Frick, now Dr. Frick of the Department of Ecology and Evolutionary Biology at the University of California, Santa Cruz, was doing her dissertation on “the relationship between the size and isolation of (Baja) islands and bat species richness in a near-shore archipelago …” so didn’t follow up on her pallid bat observations at the time. But she didn’t forget the pollen-laden pallids, and a few years later teamed up with some of her UC Santa Cruz colleagues to study bats and cardón pollination in more depth, resulting in game-changing research that was published in American Naturalist in 2012 (Frick is the lead author of the study conducted with her colleagues Ryan Price, Paul Heady and Kathleen Kay). For the study, which was funded in part by the National Geographic Society and UC MEXUS, Frick and her team monitored cardón flowers at several sites in southern Baja. When they saw a bat visit a flower they would identify which of the two cardón-nectar-loving rivals it was, then retrieve the stigma of the flower to determine how many grains of pollen the bat had deposited. They also recorded the total number of flower visits by each of the two species at each study site. Turns out, pollination’s not just for the long-nosed crowd. The cardón. Amazing record of longevity and survival. How has it done that? It has been scientifically shown that plants respond to stimuli such as sound and touch. Some wounded plants produce a chemical that acts as an alarm signal, prompting nearby plants to produce chemicals that help them defend themselves against insects – or attract insect predators. Venus fly traps just eat the interlopers. So is it possible that the cardón has sensed that it’s a hair risky to continue entrusting its future solely to an endangered, migratory, picky eater like the lesser long-nosed bat? Has it therefore made its flower scent / nectar taste so enticing that even – or perhaps especially – a scorpion-loving, insect-grubbing, and – until recently – flower-snubbing permanent Baja resident like the pallid bat would literally plunge in head first to its rescue? Says Frick’s co-author Kathleen Kay, “What is actually happening in terms of how species are mutually interacting can be more complicated than what meets the eye.” Wily cardón. Lucky bats. Merlin Tuttle decided to devote the remainder of his career to bat conservation in 1982 “as an act of desperation. 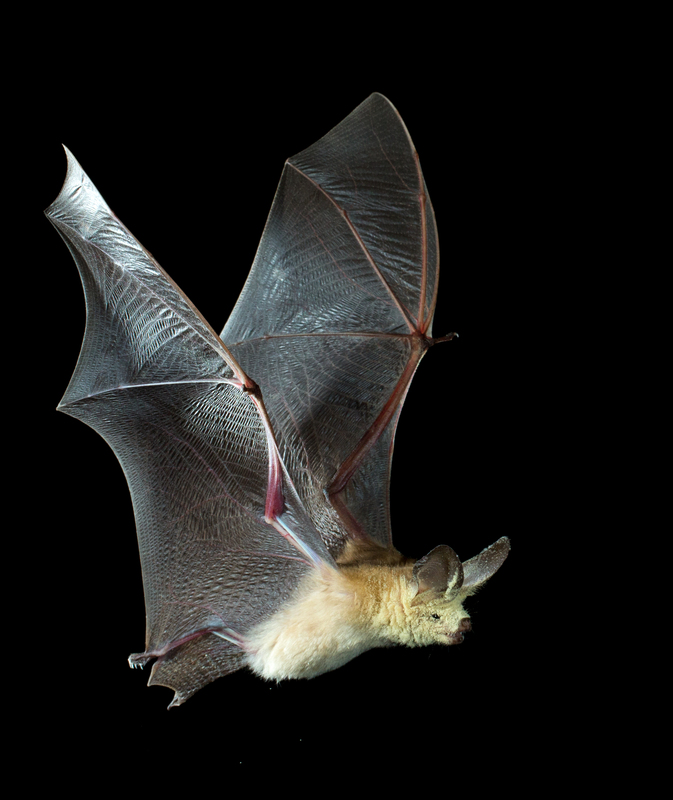 It was obvious that without major improvement in public attitudes, the situation for bats would continue to worsen.” Battered by centuries of harmful myths and misinformation, bats were despised and casually slaughtered around the world. Merlin has made education – correcting those myths and teaching the economic and ecosystem benefits of bats – a major part of his work. Distressed that most bat photographs showed roughly handled bats snarling in self-defense,Merlin taught himself photography. He became a world-class wildlife photographer whose images have appeared in books and magazines around the world and played a crucial part in his education efforts. To view his amazing photographs and contribute to his bat conservation efforts, please visit http://merlintuttle.org/. 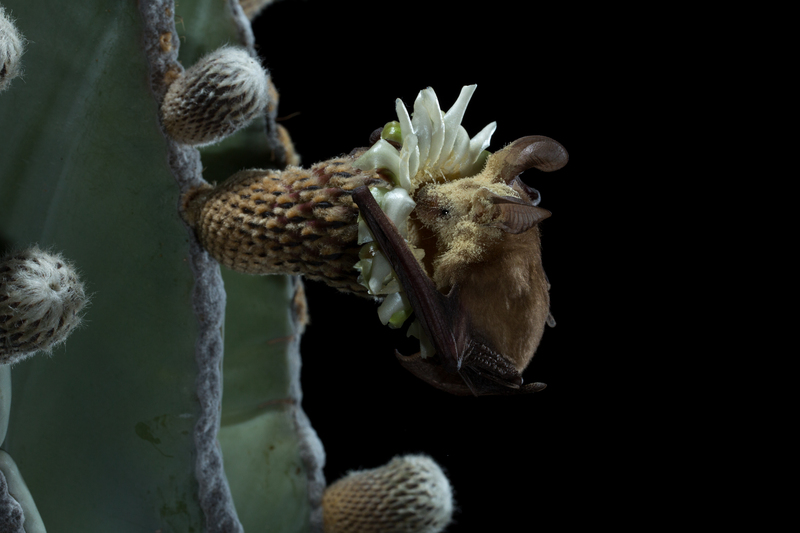 This entry was posted on June 9, 2015 by Todos Santos Eco Adventures in Plants, Wildlife and tagged bat pollination, bats, cardon cactus pollination, Kathleen Kay, lesser long-nosed bat, Merlin Tuttle, pallid bat, Rick Jackson, Winifred Frick.